We have over 34,000 multi-national employees operating farms, manufacturing facilities and offices in 7 countries across Asia. As we grew in scale, products and geographical locations; our industry know-how has also expanded from animal feed to livestock breeding, commercial farming, dairy and consumer food production. Our corporate culture is a key contributing factor to our success in building agri-food infrastructure in some of the most challenging emerging markets. For over four decades, we have abided by a set of founding values based on integrity, mutual benefit, and cohesiveness in achieving common goals. These values that are handed down from one generation of Japfa employees to another have shaped our approach to product quality, business and community relations. Mr. Santosa is in charge of the overall management of business and operations of our Group, including making any major corporate decisions. Mr. Santosa oversees the formulation of our Group's corporate planning, strategic direction, business and corporate policies. Mr. Santosa joined our Group in 1986 as a manager in the edible oil division at Nilam in Surabaya where he was in charge of the edible oil division's day to day operations. From 1989 to 1997, he served as Vice-President Director of our subsidiary PT Japfa Comfeed Indonesia Tbk. In 1997, he was appointed as President Director of PT Japfa Comfeed Indonesia Tbk, a role in which he has oversight of the PT Japfa Group's operations. His responsibilities include overseeing the entire operations of the PT Japfa Group including the Aquaculture Division, Trading Division and the Beef Cattle Division. 2011, he served as Chief Operating Officer of our Group. Mr. Tan is in charge of leading the development and execution of our Company's longterm strategy and is also responsible for all day-to-day management decisions. Mr. Tan joined our Group in 2007 as an assistant to the Chief Executive Officer and Chief Operating Officer of Corporate Services before taking on the position of Chief Operating Officer of our Group in 2011. 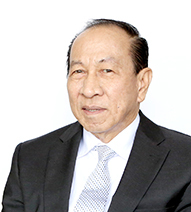 Mr. Tan was involved in the growth of our Group's operations in the region such as the expansion of our Group's swine and dairy business segments. He also had oversight of the management functions across our Group's businesses and introduced authority matrices across the various business segments of our Group's operations to establish clearer roles and responsibilities for the management of our Group. Mr. Tan is also involved in the management of our Group's financial liabilities and has assisted our Group in diversifying our Group's financial relationships to include regional and international banking organizations. Mr. Tan started his career as a statistician at the Department of Statistics, Singapore in 1985 and went on to become a research economist with Singapore's Ministry of Trade and Industry in 1986. 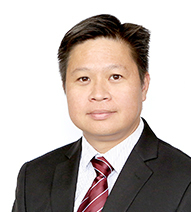 He joined the Prudential group in 1988 as an investment analyst and was based in Hong Kong and the U.S.. Mr. Tan was employed by the PAMA Group Inc.'s group of companies ("PAMA Group") from 1991 to 2003, becoming a partner of PAMA BVI in 2001. Mr. Tan was involved in setting up several equity funds of the PAMA Group and handling the funds' investment portfolio in South East Asia. He was also an Investment Committee member of PAMA BVI from 1997 to 2003. 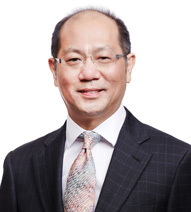 Mr. Tan joined Delifrance Asia Ltd in 2003 as its Chief Executive Officer where he was in charge of setting strategic corporate visions and directions for, and had oversight of the operations of, Delifrance Asia Ltd. He joined Li & Fung Group in 2005 as its Project Director and Chief Operating Officer and was involved in charting its overall investment direction and strategy. Mr. Tan graduated with a Bachelor of Arts (Economics) degree from the University of Cambridge, United Kingdom in 1983. He was also registered as a Chartered Financial Analyst with The Institute of Chartered Financial Analysts, United States of America in 1992 and is currently a member of Mensa International. Mr. Monteiro’s key roles are to develop a balanced capital structure and to source adequate funding for our Group and to ensure the integrity of financial data for proper record keeping and accurate reporting. Mr. Monteiro is currently also the Head of Corporate Finance of our subsidiary, PT Japfa Comfeed Indonesia Tbk and has over 14 years of experience of working in the agri-food industry, having joined PT Japfa Comfeed Indonesia Tbk in 1999. His responsibilities in this position include overseeing the capital structure of the PT Japfa Group and managing equity-related matters such as investor relations and annual reports. He also oversees merger and acquisition activities and fund-raising activities of the PT Japfa Group which included a SGX listed US$225 million Senior Notes issuance in 2013 and three mergers by PT Japfa of which two involved public-listed targets. 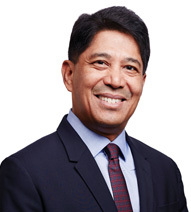 Prior to joining PT Japfa, Mr. Monteiro was a financial advisor to another IDX-listed company, PT Trafindo Perkasa Tbk (“Trafindo”) between 1995 and 1999. Between 1985 and 1995, Mr. Monteiro practiced as a chartered accountant, first as a sole practitioner, and later as a partner of Callaway & Hecht in Melbourne. Whilst in practice, Mr. Monteiro was a registered tax agent and registered company auditor in Australia. Mr. Monteiro obtained a Bachelor of Economics degree from Monash University, Australia in 1979 and has been an associate member of the Institute of Chartered Accountants in Australia since 1982. 1978, Mr. Hendarto joined our Group as a Nutrition Manager in the Production Planning Control Department. He was promoted several times and was appointed the Vice-President Director of PT Japfa in 1997. He holds this position till today. Mr. Hendarto oversees the entire poultry operations of our Group, including the feed, breeding and commercial aspects, and is responsible for establishing corporate objectives, strategies and plans for our Group's poultry operations. Mr. Hendarto joined our Group in 1978 as a Nutrition Manager in the Production Planning Control Department where he was involved in supervising and coordinating the activities for the production of formula feed. He became a Vice Director (Deputy Director) of PT Comfeed Indonesia in 1981 and led the Feed Division of our Group's operations in Indonesia. Over the years with our Group, he was promoted several times and was appointed the Vice-President Director of PT Japfa in 1997. He holds this position till today and his roles and responsibilities as Vice-President Director of PT Japfa include leading the breeding and commercial poultry operations of our Group and to oversee and ensure that our Group's corporate objectives and strategies relating to such operations are met. Mr. Hendarto graduated from Brawijaya University in 1972 with an Engineering degree in Animal Husbandry. Mr. Collins is the Head of Dairy of our Group. He is responsible for the day-today operations of our Group's Dairy Division and is in charge of formulating, developing and implementing both strategic and long-term business plans for our Group's Dairy operations. Having been involved in beef and cattle operations throughout his career, Mr. Collins has accumulated many years of industry experience. Mr. Collins has been with AustAsia Food Pte. 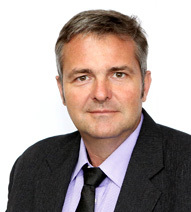 Ltd. since 1999 and is currently its Managing Director. Before joining AustAsia Food Pte. Ltd., Mr. Collins was Head of Operations of PT Santosa Agrindo, currently a subsidiary of our Group, where he was involved in the development of a cattle and beef business in Indonesia. Mr. Collins was also a General Manager for approximately two years at BxE Commodities Pty Ltd ("BxE"), a company engaged in the business of import and trading of cattle feed commodities in Australia's and New Zealand's dairy industries. During his time at BxE, he was involved in the establishment of a system for the importation, trading and distribution of feed products such as copra meal and palm kernel extract to commercial farmers and feed mills. Mr. Harwanto is Deputy Chief Operating Officer, Operational 1, Poultry Business, Indonesia, and he is responsible for setting up the vision, mission and strategies to further grow the Group’s poultry business in Indonesia. Mr. Harwanto has been with PT Japfa Comfeed Indonesia Tbk since 1979. 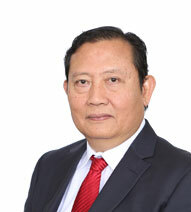 From 1979 to 1999, he held various positions in transportation, sales and marketing and served as unit head of Cikupa, Cirebon and Sidoarjo, respectively. In addition, Mr. Harwanto is serving as a Director of PT Indojaya Agrinusa since 1995. From 1999 to 2012, he was also the Commissioner of PT Multibreeder Adirama Indonesia Tbk. Separately, he served as a Director of PT Multiphala Agrinusa from 2001 to 2008, and was subsequently appointed to President Director from 2008 till 2010. Between 2003 and 2017, Mr. Harwanto was the Head of Feed Division, before he was promoted to his current position as Deputy Chief Operating Officer, Operation 1, Poultry Business, Indonesia on 1st January 2017. Mr. Harwanto holds an Economics degree from the 17-August-1945 University in Jakarta. Ms. Chua oversees all legal, compliance and secretarial functions of our Group's operations. She joined our Group in 2010. 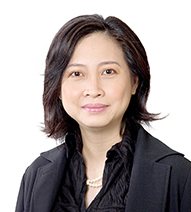 Ms. Chua has more than 20 years of experience in legal practice. Ms. Chua graduated with a Bachelor of Laws (Honors) degree from the National University of Singapore in 1989 and was admitted as an advocate and solicitor of the Supreme Court of the Republic of Singapore in the same year. She has been a member of both the Law Society of Singapore and the Singapore Academy of Law since 1990. Mr. Tan is the Head of Human Resource is in charge of all human resource matters in our Group and responsible for human resource management, policy governance and administration. He joined our Group in 2012. Prior to joining our Group, Mr. Tan was employed by the Singapore Ministry of Defense from 1998 to 2012. He was engaged in various positions including Head of the Singapore Armed Forces Careers Centre and Head of Mindef Scholarship Centre. 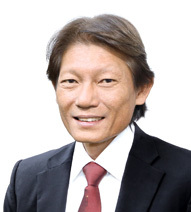 He was appointed as the Head of the Human Resource Department of the Ministry of Defense in 2009 and was responsible for all human resource matters for all non-uniformed personnel of the Ministry of Defense and Singapore Armed Forces. He joined our Group in 2012. Mr. Tan graduated with a Bachelor of Arts and Social Sciences degree from the National University of Singapore in 1997.